As the first half of the Lucas Oil Off Road Racing Series is now set in the off-road racing history books, its time to take a quick look back at how this season has treated Patrick Clark Racing and where they plan to go as they get ready to conquer rounds 9&10 this weekend in Glen Helen. 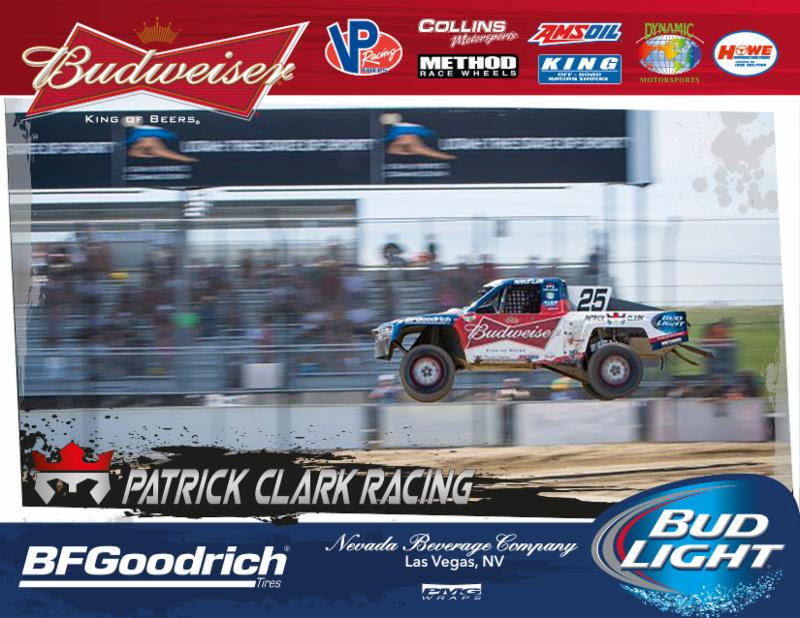 Patrick Clark pulled off his first ever win in his #25 Budweiser/PCR Pro-2 this year at round 4 and it was just the high the team needed to push forward. Always knowing they have what it takes to win, it was just a matter of when. This set Clark up in a great position points wise, but after 4 more rounds of racing it hasn’t been the easiest keeping those points. 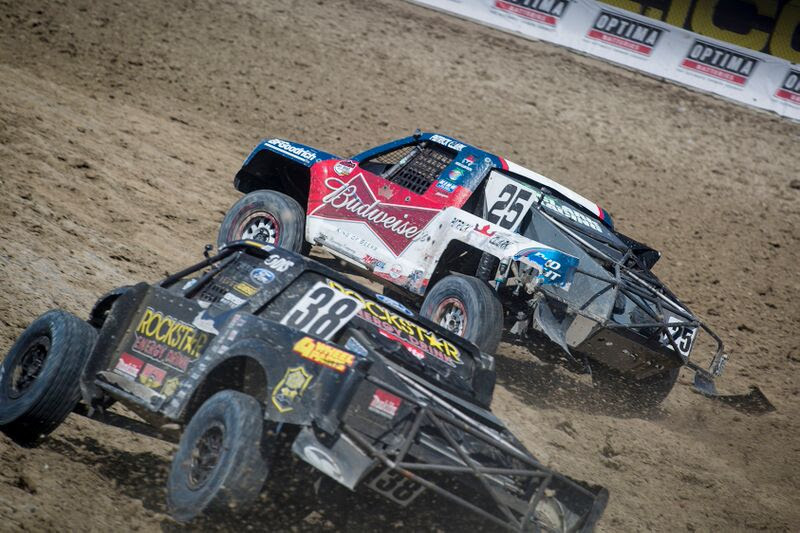 Rounds 7&8 in Utah would bring major carnage to the #25 truck and set the team up for a full nights worth of work just to get Clark back out on the track for Sundays race. They managed the repair but with a course that is known for being hard to pass on, it just wasn’t in the books for a podium finish for Clark. Moving forward to rounds 9&10 has Clark excited to head to in Glen Helen under the lights and in front of a sold out crowd. This track is known for taking out top drivers, seeing first time wins and podiums that can come to one on the last lap. Getting on that podium is going to be crucial for Clark as he needs those points to get himself up from his 8th place standing. Patrick Clark Racing would like to thank all their sponsors that make racing possible. Budweiser, PMG Companies, Nevada Beverage Company, Collins Motorsports, Method Race Wheels, Dynamic Motorsports, King Shocks, Stoney Automotive Engineering, Howe and More.